A team of University of Missouri neuroscientists are inching closer to developing the tools needed to decipher the brain. 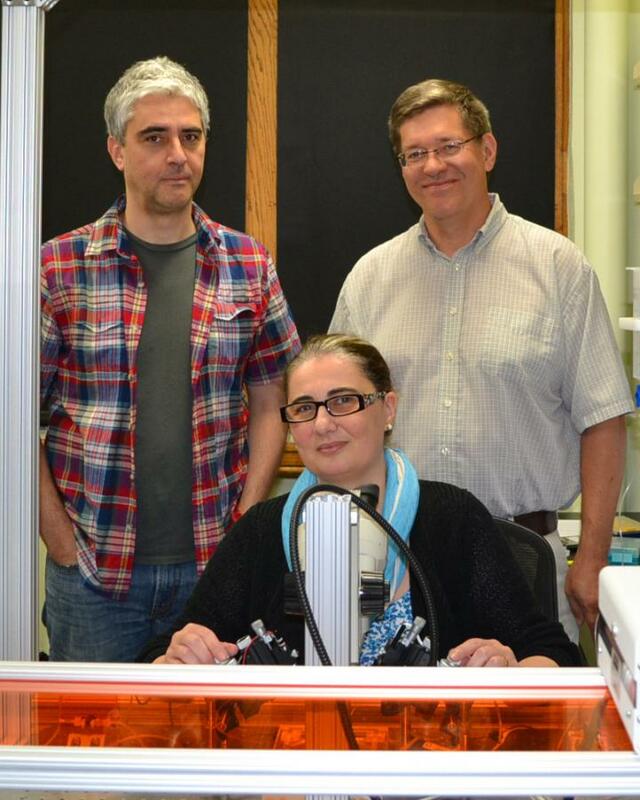 In 2015, the team received a National Science Foundation Early Concept Grant for Exploratory Research (EAGER) award to investigate a newly discovered class of proteins that are turned on by heat. Now, the team has published a new paper that demonstrates how these proteins can be used as tools to regulate the activity of individual neurons in the brain through changes in temperature. These tools will advance fundamental brain research and potentially lead to "deep brain stimulation" treatments used for Alzheimer's and Parkinson's patients. "Thermogenetic tools, which utilize heat to act as a 'switch' to turn neuron functions on, are expanding the horizons of brain research by allowing us to control specific neurons in the brain and measure behavioral changes," said Troy Zars, professor of biological sciences in the MU College of Arts and Science. "The goal of this fundamental research was to identify more of these special proteins, laying the foundation so that, in the future, scientists have a better understanding of how neuronal circuits function." First, the students in Mirela Milescu's lab investigated the thermosensitivity of these proteins and identified one member of the family, called Gr28bD, as a prime candidate for thermogenetics. Then, Lorin Milescu's students used live-imaging techniques and software developed in their lab to demonstrate that the Gr28bD protein can, through temperature differences, modulate the brain activity of fruit flies. Finally, the flies were tested in Dr. Troy Zars' lab for temperature-dependent behavior. Using a specially designed heat chamber that allows precise control of the environmental temperature, the Zars' students were able to show that the Gr28bD protein can control behavior in these flies, using temperature as a "brain switch." "Gr28bD could become a powerful tool in controlling neuronal activity and studying how neuronal circuits function," said Benton Berigan, a graduate student in Lorin Milescu's lab. "Since this protein is not found in any mammal, it emerges as a good candidate for the development of novel thermogenetic tools to be used for basic research and potentially one day in humans." The study, "The Drosophila Gr28bD product is a non-specific cation channel that can be used as a novel thermogenetic tool," recently was published in Scientific Reports. Aditi Mishra, Autoosa Salari, Kayla C. Miguel, Marzie Amirshenava, Abbey Robinson, Jenna Lin and Benjamin C. Zars all contributed to the study. Funding was provided by the National Science Foundation (Grant: 1535790). The content is solely the responsibility of the authors and does not necessarily represent the official views of the funding agencies.